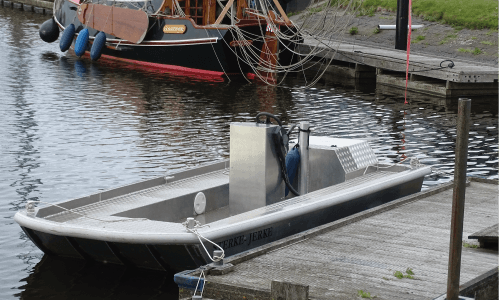 NG Shipyards has made a preliminary design of a non-free ferry for pedestrians and cyclists.The aluminum-built ferry connection consists of a ferry with two floating landing stages. The pont route is fixed by a chain link across the bottom of the fairway and is very easy to operate. Built in accordance with the requirements and regulations of CE D quality (significant wave height 50 cm) and suitable for the safe transfer of eight people or four people with a bicycle. 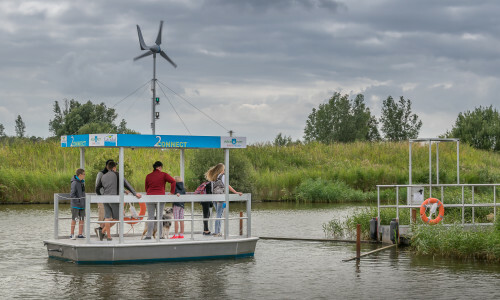 The ferry is fully self-sufficient and sails on renewable energy from solar panels. There is a large storage and reserve capacity available through the use of a large battery pack. Intelligent control and safe switching take place with the help of programmable modules. 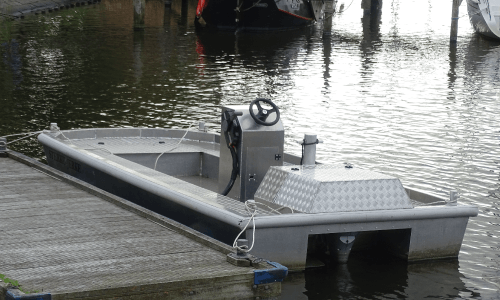 Where the fairway allows it, the ferry can sail unmanned by using GSM modules, the ferry can be controlled over a long distance. With its own development and engineering department, NG Shipyards can respond quickly to the special wishes of its customers. 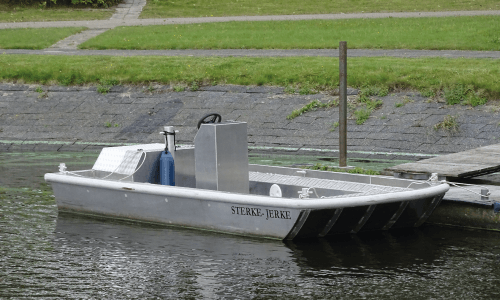 For example, the small work ship “Sterke Jerke” has been developed for use in and near ports or waterworks. Thanks to her catamaran design, she is exceptionally stable and very stable. She can develop a good speed and is remarkably employable as a drag or push ship. 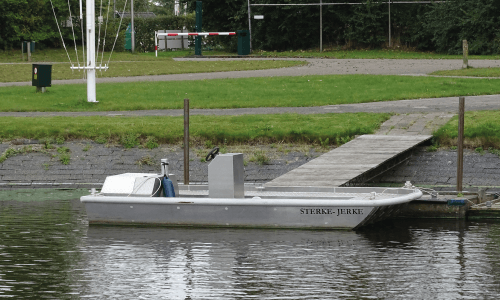 “Sterke Jerke” is very solid and virtually unsinkable with the self-draining cockpit and airtight floats. This well thought-out design is reliable and inexpensive in price due to particularly efficient material consumption and direct technology. 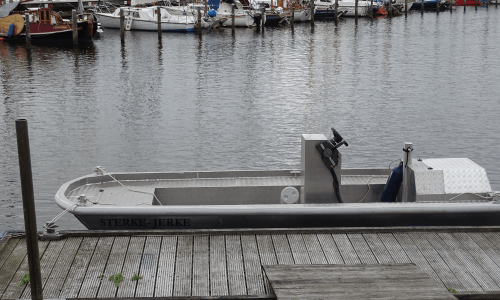 “Sterke Jerke” can be adapted to various uses. Next to the employment in a port there are countless other possibilities for it such as cruise and day recreation, party boat with barbecue, fishing boat, work pontoon, fire fighting, search and rescue or as free sailing ferry. NG Shipyards has started a make over for the tjalk “Neerlandia”. 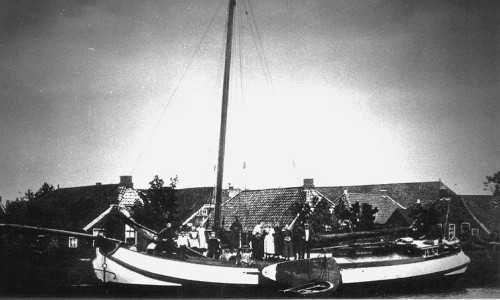 The ship from 1909 is in bad shape and the restoration covers almost all facets.